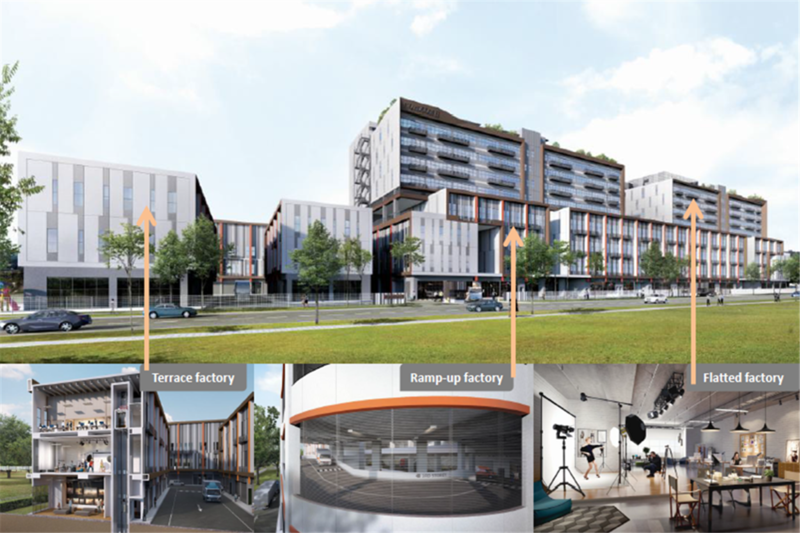 Strategically positioned between Woodlands Regional Centre and Seletar Regional Centre, Nordcom Two is set to benefit from the URA's Master Plan 2014 for regional centres to serve as vibrant livable hubs for business and recreation. The growth of Woodlands - envisioned to anchor the development of the North Coast Innovation Corridor - will bring fresh retail and employment options closer to home, turning Woodlands into a conduit for increased economic and human activity. Expect enhanced connectivity via the upcoming Thomson-East Coast Line and future City Direct service (planned for Sembawang), alongside the future cross-border rail link to Johor Bahru - Woodlands is set to rise to prominence as Singapore's Northern Gateway. Nordcom II offers a selection of ramp-up, flatted and 3-storey factory units with sizes from 1,636 sq ft to 5,888 sq ft. All units are built to suit your requirements and designed with natural lighting and ventilation in mind. A location selected for its advantage and efficiency.